As I was sitting at my daughter’s soccer game this past weekend, snuggling up in my cape scarf in the freezing cold weather, I realized something. 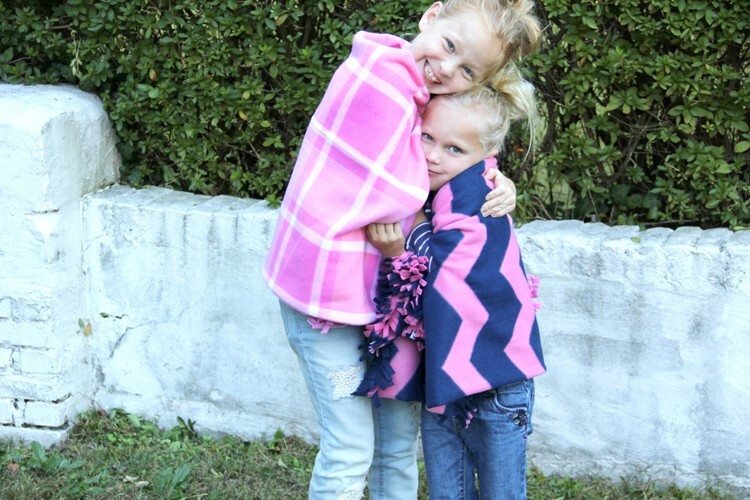 My girls desperately needed these cape scarves in their lives too!!! As I wrapped that cape scarf around myself like a blanket in the howling wind, I watched my Madeline sit in her winter jacket and she just looked so not snuggly. If that makes any sense, lol. 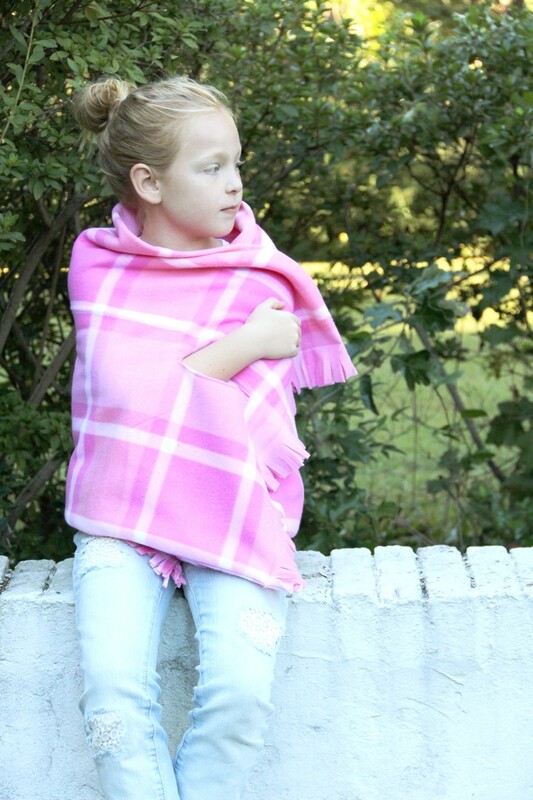 But everyone loves a blanket, or scarf, or even a cape that they can simply wrap around themselves and be warm. My kids needed cape scarves. 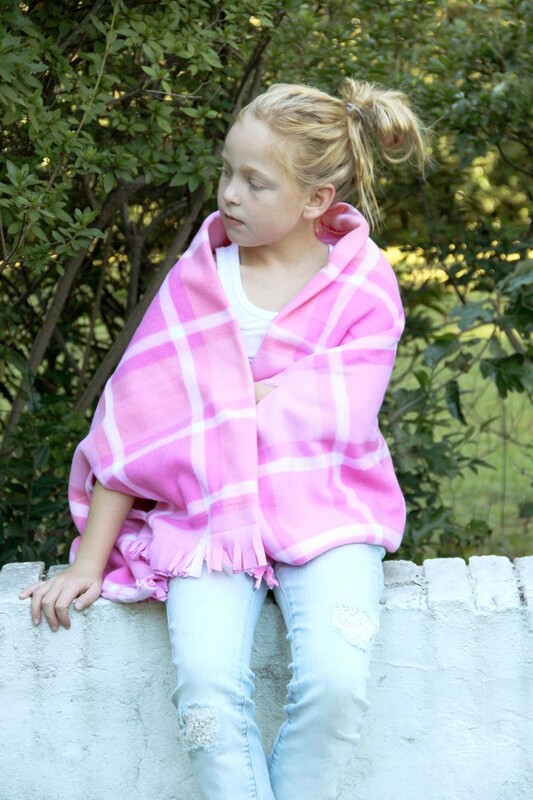 Kids Fleece Cape Scarf DIY. 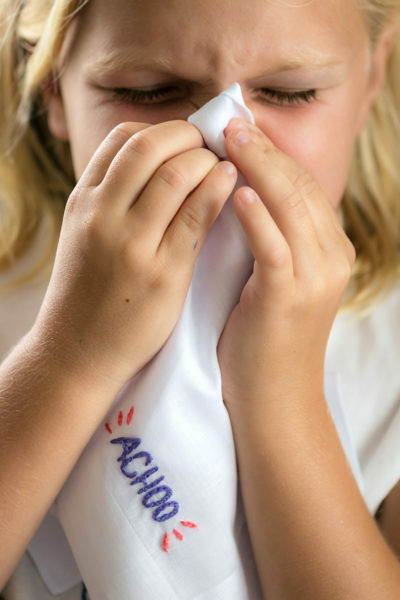 Step One – Measure child’s back width from shoulder to shoulder, and arm length from shoulder to finger tip. If you do not have your child in front of you to measure, you can also use THIS measurement chart by Baste + Gather. 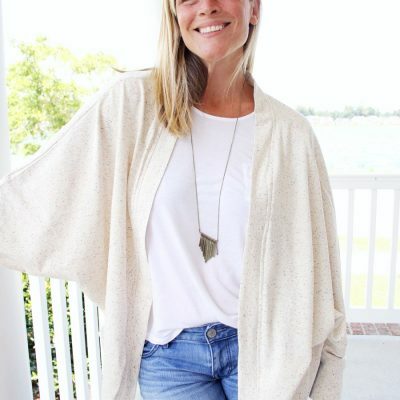 Step Two – Add the back width, plus double the arm length, plus an additional 5″ to get your total cape scarf length. Step Three – Cut your piece of fleece your length measurement x 42″ wide. Step Four – Fold fleece in half, wrong sides together matching up the long edge. Pin and sew the long edge. Turn right side out. 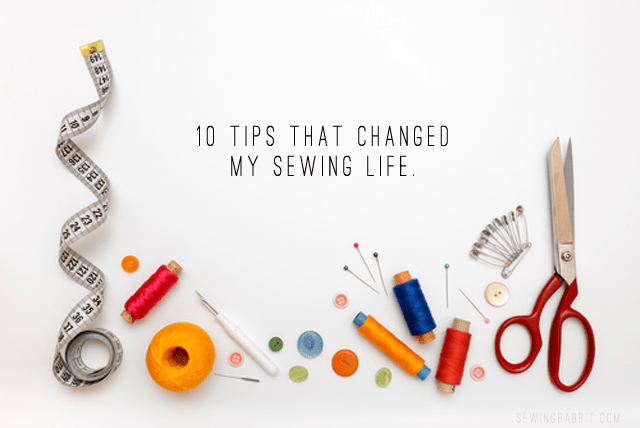 Step Five – Sew a straight stitch along the open edge, 2″ up from the bottom. Use scissors to cut slits 1/2″ apart in the open end of the scarf to create fringe. Repeat for other side of scarf. Step Six – 2″ up from the sewn bottom edge, in the center of the scarf cut a 5″ opening in the shape of an oval. 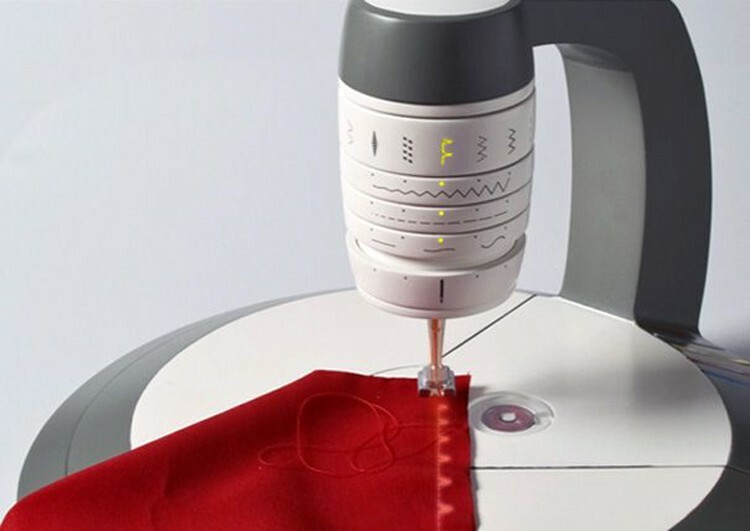 Sew around the opening to secure exterior and lining together. Trim seam allowance.Repeat for other side. 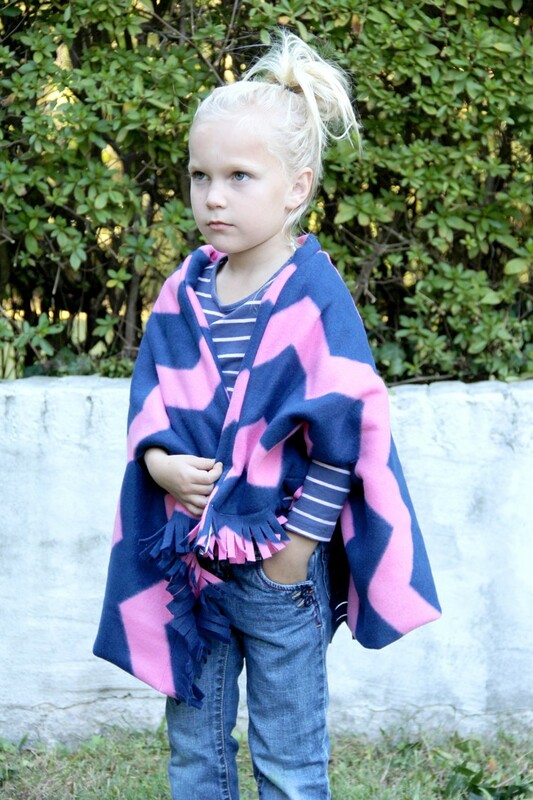 *The main difference between the women’s cape scarf DIY and the children’s is the fleece fringe. The other alteration is how the arm hole is finished- instead of binding, I simply sewed the fleece together without worrying about fraying. 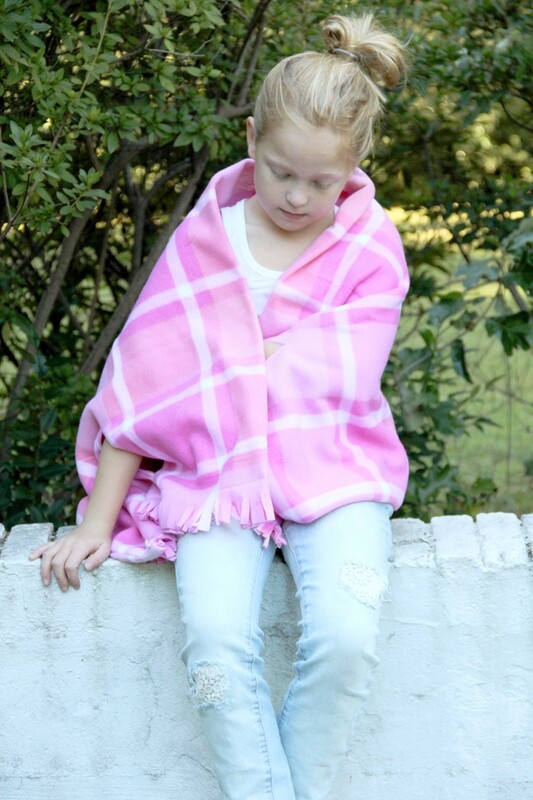 Very cute, easy and snuggly, thank you! I love my woolen cape, but I’m not convinced my daughters would be able to keep one on for all their running around, jumping and climbing (They’re 4 and 6). I’ll definitely file this idea away for when they’re a little bit older and more sedate though.